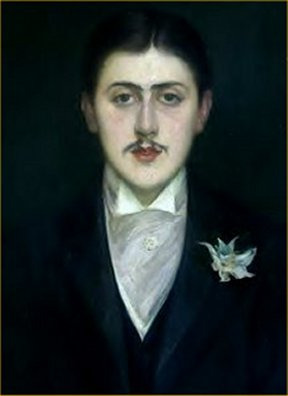 A few weeks ago, I stumbled across a portrait of the famous nineteenth-century French novelist Marcel Proust by the equally French painter Jacques-Emile Blanche. Though I was looking at only a small, black and white reproduction of it in a paper-back book, I found the portrait quite arresting: the expression of worldliness and fatigue in Proust's eyes; the dark, open lips; the elegant Victorian attire; and, the way Proust's face seemed to emerge, specter-like, from the back-ground all gave the portrait a grave, ethereal quality that I found (and continue to find) captivating. Fairly certain that Blanche wouldn't mind, I decided to take a photographic portrait inspired by his famous painting of Proust. I suggested the idea to a model named Claudia, whom I slightly knew, and she readily agreed to pose as the novelist. 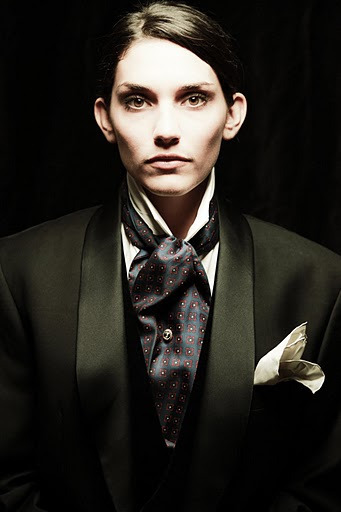 I was both impressed with and grateful for Claudia's willingness to help me bring the idea about and I think you will agree that she did a smashing job channeling the redoubtable and instructable Proust.